Dapper Lad Cycles’ was in attendance at the Seattle Cascade Club‘s Bicycle Expo this weekend. Tossed in the mix of their photos were a couple Jack Taylors. If you remember the post I made a little while ago, Jack Taylor made some rather unique bicycles. 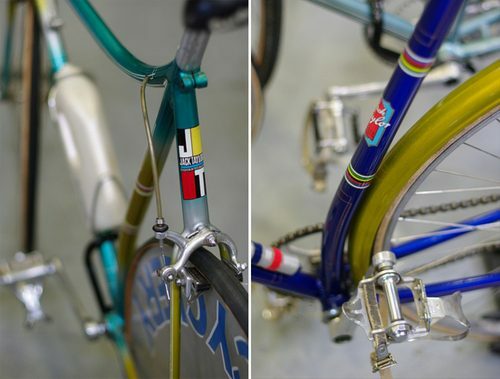 These two details shots of the Curved Tube models show the bikes in all their restored glory. Someone over in Seattle has a real Jack Taylor fetish! It’s easy to see why though. Check out the rest of their photoset here.